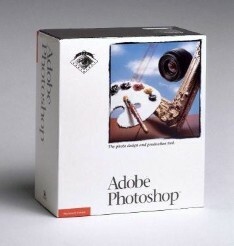 Adobe Photoshop CS5 Reviews: What Are They Saying? ◊ Photoshop CS5 delivers exceptional power and creative control with the next generation of advanced tools for outstanding image manipulation and superior compositing. It redefines image editing with a strong focus on photography, including breakthrough selection capabi­lities, content-aware fill options, state-of-the-art processing of raw images, advanced creation of High Dynamic Range (HDR) imagery, automated lens corrections, puppet warp technology, extraordinary new painting effects, and a sweeping range of workflow and performance enhancements that boost productivity. ◊ Photoshop CS5 Extended takes it even further, as a superset of tools and features made for professionals who want to push the boundaries of digital imaging. It delivers all the editing, compositing, and painting capabilities of Photoshop CS5 plus powerful new features for creat­ing stunning 3D artwork from selections, graphics, and type with direct control over lighting, materials, and meshes. See the complete differences between Standard vs. Extended. Good thing for the rest of us we have instant download! 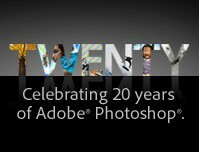 Win Adobe Photoshop CS5, Free! Less than a week to go now until the big Global Online Launch of Creative Suite 5, if you haven’t signed up yet … We’ve talked a lot here about Photoshop CS5, so here’s your chance to win it for free! All you have to do is enter your email address in the “Adobe Special Offers” box in the sidebar to the right for our free occasional e-newsletter. That’s it. It’s open worldwide with one subscription per person and submissions end at 11:59pm EDT on Friday, April 30th, 2010. 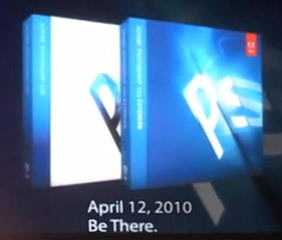 Then on May 1st (right before we think CS5 is released) we’ll choose one new subscriber at random, and if it’s you we’ll ship you a shiny new shrinkwrap­ped box of Photoshop CS5 for free! (up to $699 value) We’ll contact you via email just to get your address for shipping, and then follow up back here announcing your first name and home­town. It’s that simple, no kidding! If you like, you can find out more about the newsletter you’ll be receiving – it typically contains select Adobe-related news items plus the latest discounts and great coupon codes. And of course you can easily unsubscribe from the bottom of any issue. Naturally we’ll never spam you or share your email address with anyone else, ever. So enter your email today and tell your friends – someone has to win the giveaway and there’s nothing to lose! Just out: a very cool Adobe Photoshop CS5* preview demo on a new feature called Puppet Warp that lets you distort and warp images with extreme accuracy… Just set a few control points and then it becomes a breeze to precisely reposition or warp any image element – like swing a raised arm to a person’s side in a photo, wrap a rope any way you want, manipulate a puppet, stretch or wind text to create new effects, or structurally realign images with a click or drag of the mouse… What else can you think of? Incredible convergence happening with these tools and what they can do. * Creative Suite 5 inclusion is subject to the same disclaimers confirmed! as for our earlier previews on Photoshop CS5 and Dreamweaver CS5. “Any sufficiently advanced technology is indistinguishable from magic.” [Arthur C. Clarke] — that’s what comes to mind when watching this latest preview demo from the Adobe Photoshop team… There have been several videos out on this amazing new Photoshop CS5* Content-Aware Fill (aka PatchMatch) technology, but this new one is the best. Move/remove/repair entire objects with the back­ground automatically filling like the object was never there – jaw-dropping, really. Incredible how easy this makes it and what the possibilities could be – and thinking already of the hours it’s going to save. The best part is about halfway the video when he makes trees and roads disappear and then creates desert and mountains and clouds and sky from seemingly out of nowhere, all with single clicks of the mouse. And just like when watching magic on TV, we found ourselves wondering if there was something going on “behind the scenes” to make it work… But let’s hope not – what do you think? By the way, the breakthrough new technology shown here is a joint development effort between the Adobe Photoshop team and the Graphics Group at Princeton University. They cover new technologies for painting, coloring, selection, alignment, edge detection and masking, among others, to help save time and effort.